According to the Martyrology of Tallaght, St Mochonna founded Holmpatrick monastery on an Island off Skerries. After a viking raid in 798 AD some of the monks escaped and established a church at Carrickbrennan, 6 kilometres south of Dublin, where they were protected by the local chieftain MacGillamocholmog. The monks dedicated the church to their founder St Mochonna and farmed the land given to them by MacGillamocholmog. After the Norman invasion in the early 12th century the church was absorbed by the Cistercian monks at St Mary's Abbey in Dublin. For years the monks were subject to attacks from the local O'Toole and O'Byrne families who had taken refuge in the Wicklow mountains. 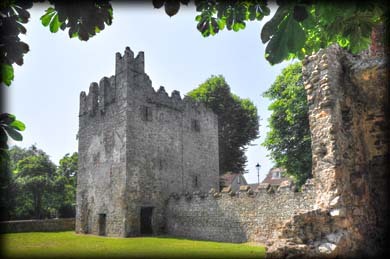 By the 13th/14th century the Cistercians had built a castle at Monkstown to administer and protect their lands and another one at Bullock harbour to protect their fisheries. 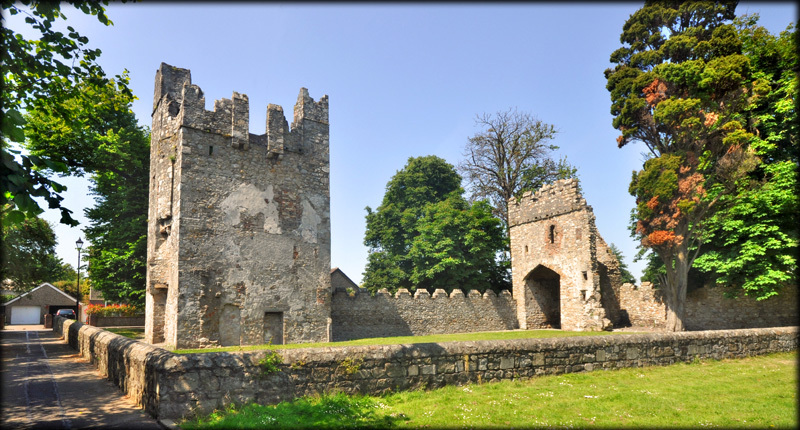 The castle was located on the opposite side of the road to the old graveyard at Carrickbrennan, that now occupies the site of St Mochonna's Church. When the Monasteries were dissolved in 1539 the Castle and lands were passed to Sir John Travers, master of the royal ordinance. Sir John died in 1562 and was buried in the Carrickbrennan Graveyard. The castle subsequently passed to James Eustace, 3rd Viscount of Baltinglass through his marriage to Mary Travers (Sir John's grand-daughter). On her death, Mary bequeathed her estates to Henry Cheevers (Owners of Goat Castle), who was her sister Katherine's second son. Nothing remains from the early castle. The ruins we see today are from the late 15th century. 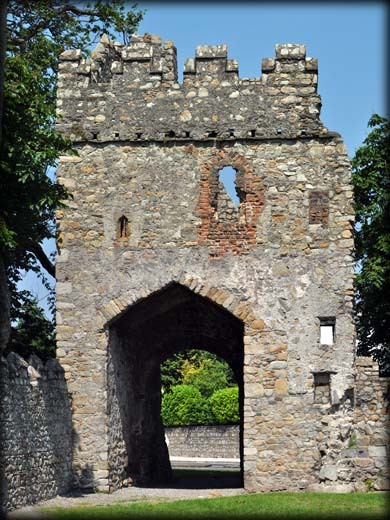 During this period a castle was built with a bawn wall incorporating three towers and a gatehouse. One of these fine towers and the gatehouse still survive. 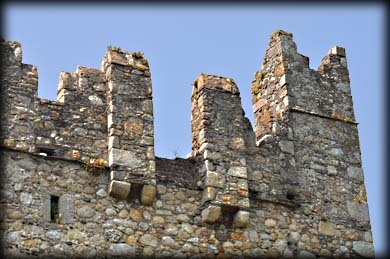 Pictured above are a selection of the windows and loops present in the ruins. 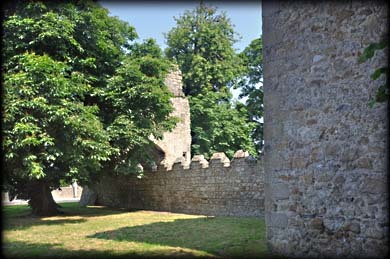 The grounds of the castle are beautifully kept even though it is situated in a large residential area. Situated: From Blackrock head south on the N31. At Temple Hill turn left for the R119 (Monkstown Rd). After 1.1 kilometres turn right onto the Carrickbrennan Rd (At the church). The castle is 550 metres along this road. Discovery Map 50: O 2331 2810. Last visit July 2014.